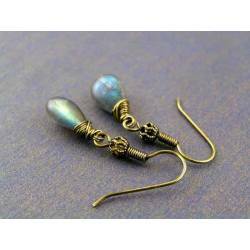 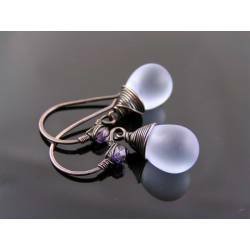 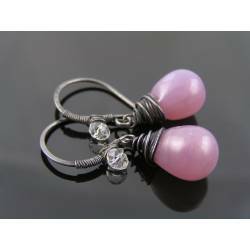 Lavender teardrop beads on wire wrapped copper ear wires. 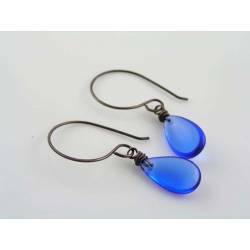 These lavender drops are really gorgeous. 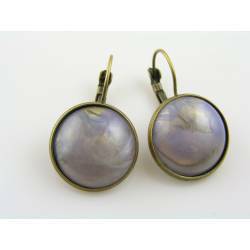 They have a silvery sheen that doesn't come across on my photos. 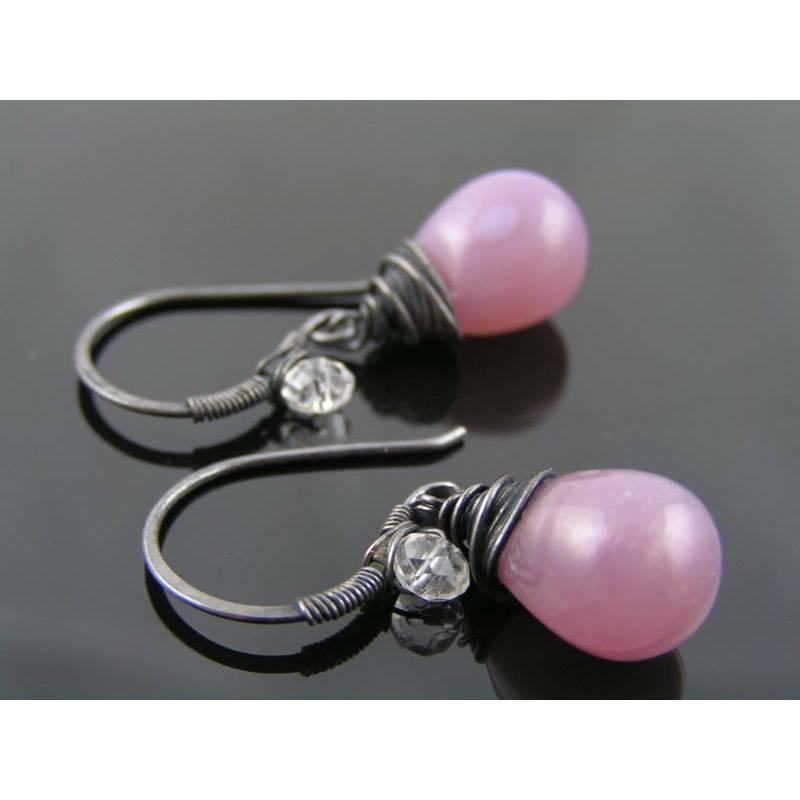 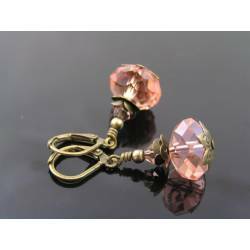 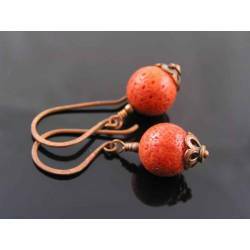 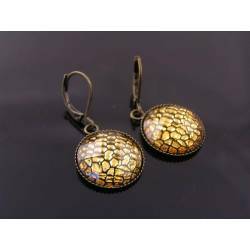 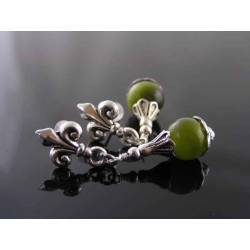 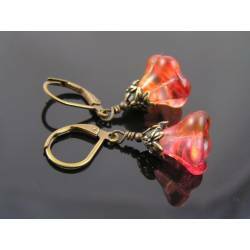 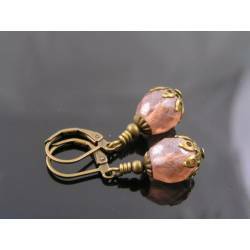 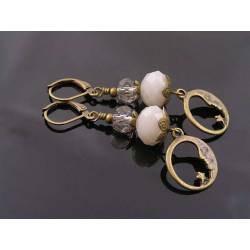 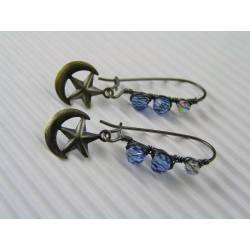 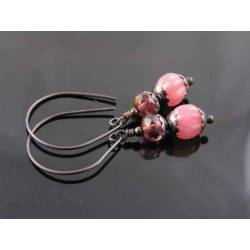 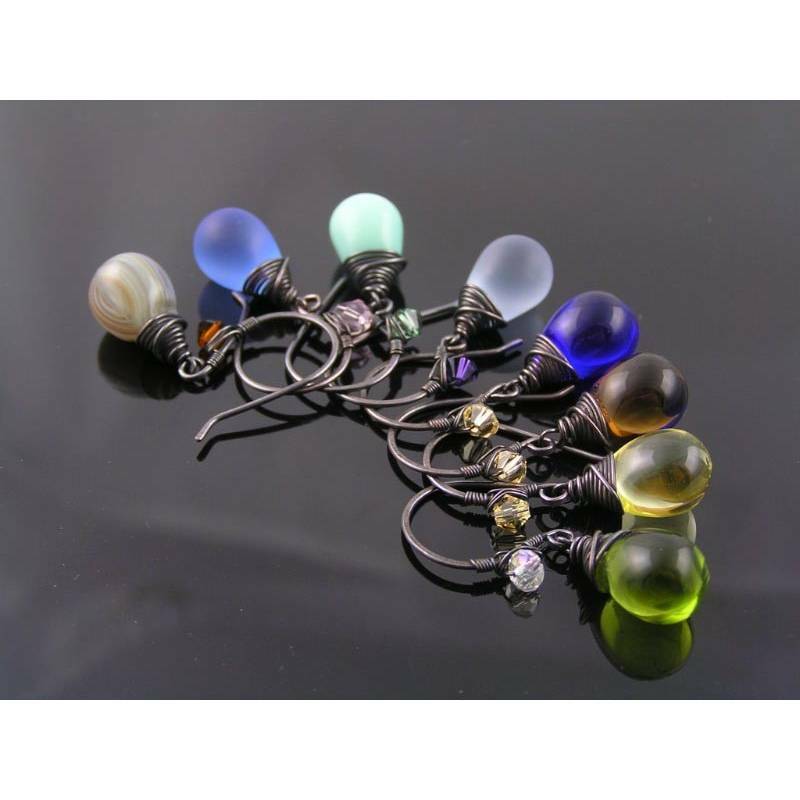 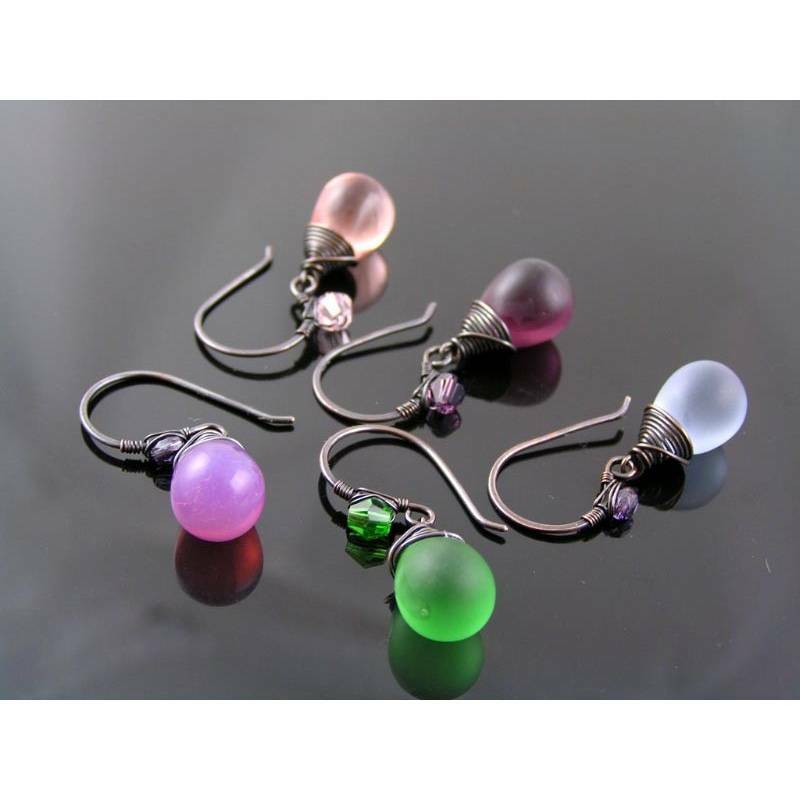 They are genuine Czech glass drops in a great 14mm size. 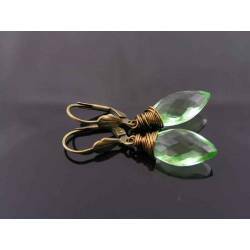 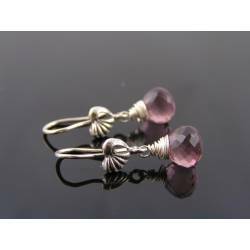 I have attached the drops to my handmade ear wires that are wrapped with a sparkling clear, faceted crystal. 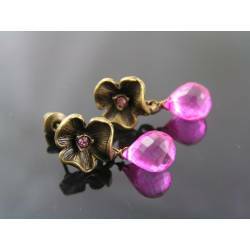 All metal is solid copper that I have oxidised to a near black to achieve a great contrast to the pale purple drops. 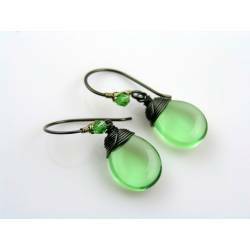 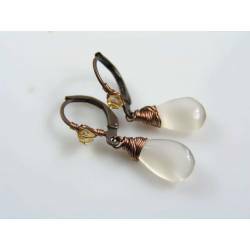 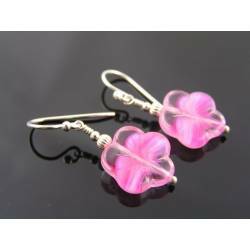 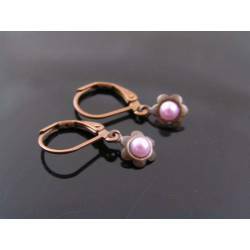 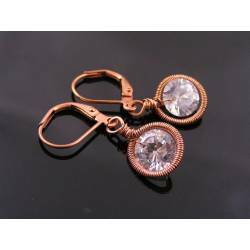 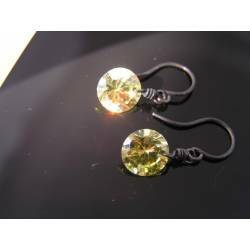 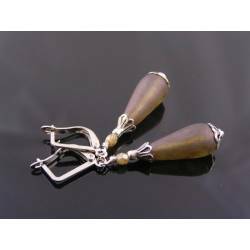 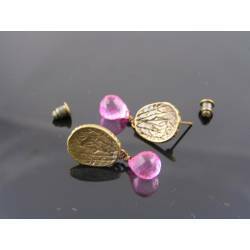 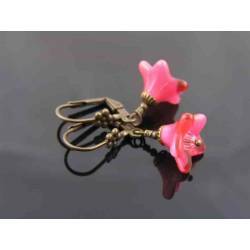 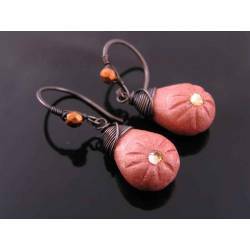 The earrings are tumble polished for added strength and shine; they will come with clear rubber stoppers to prevent loss.